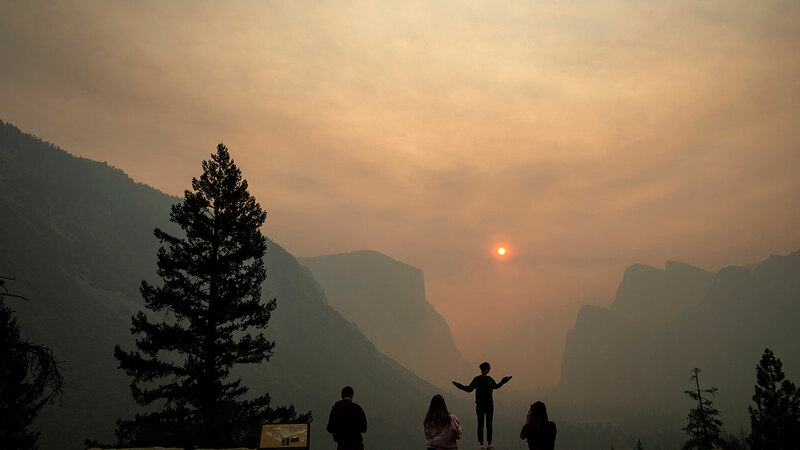 YOSEMITE NATIONAL PARK (KFSN) -- Yosemite National Park officials have announced that Yosemite Valley will reopen on Tuesday, August 14th, at 9:00 a.m.
Yosemite Valley has been closed since July 25th because of the Ferguson Fire. Officials said visitors can access Yosemite Valley from the El Portal Road (Highway 140), the Big Oak Flat Road (Highway 120), or the Tioga Road (Highway 120). "We'd like to express our sincere gratitude to the firefighters and, Incident command teams for their great efforts in suppressing the Ferguson Fire. We'd also like to express our gratitude and thanks to our gateway communities who tirelessly helped visitors to the area while they were being impacted by the fire", stated Michael Reynolds, Yosemite National Park Superintendent. "This is truly a historic and unprecedented event in park history, and we are thrilled to welcome back visitors to Yosemite Valley and the Mariposa Grove." Officials also said the Mariposa Grove of Giant Sequoias will reopen to the public on Monday, August 13th, at 9:00 a.m. Visitors can access the Mariposa Grove via the South Entrance (Highway 41) and park in the newly constructed parking area. Glacier Point Road will remain closed and is expected to open when the Wawona Road (Highway 41) reopens. The Hetch Hetchy Area remains closed due to smoke impacts but is expected to reopen soon.